We used the hydraulic trailer to load hogs to take to the butcher today. There is a flat piece of metal on each side of the trailer that collects manure. 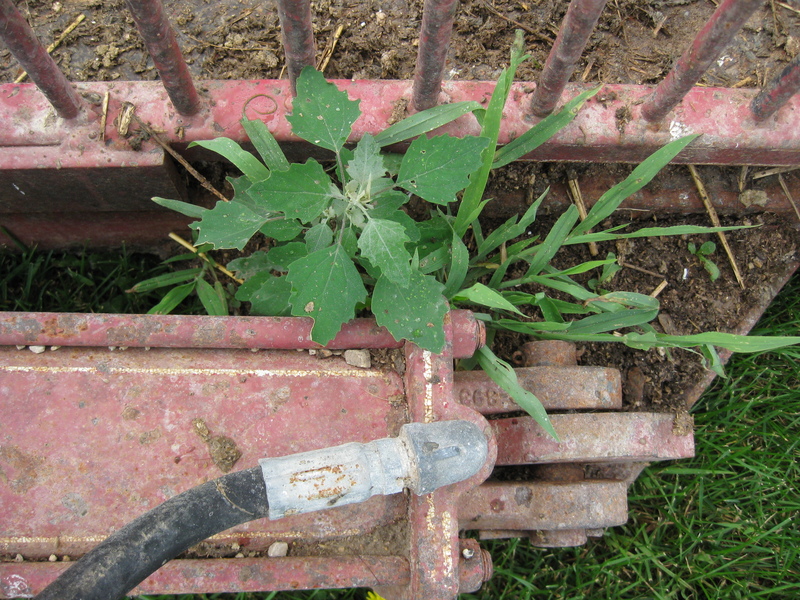 I was amazed to see plants growing in the shallow manure. 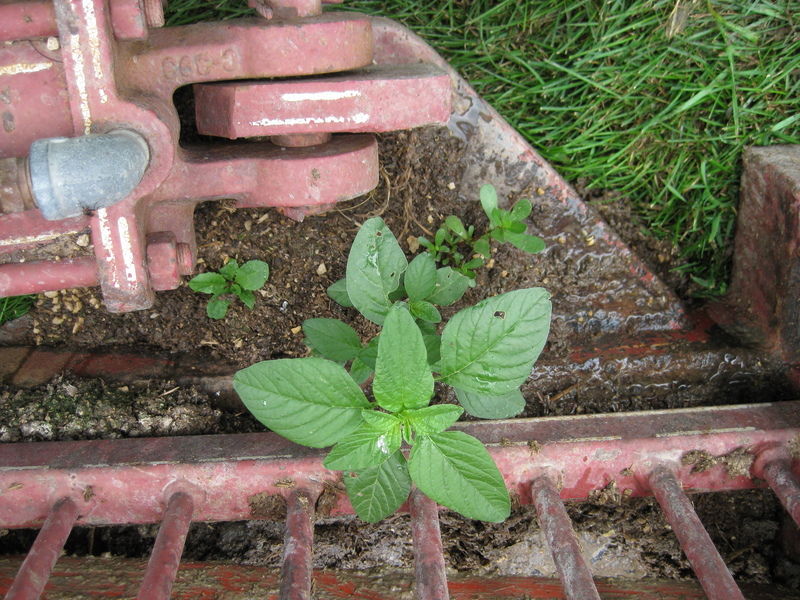 And not just any plants, but the plants I wrote about yesterday: Amaranthus retroflexus and Chenopodium album. This entry was posted on Tuesday, July 13th, 2010 at 1:25 am and is filed under Curious wild food. You can follow any responses to this entry through the RSS 2.0 feed. You can leave a response, or trackback from your own site.